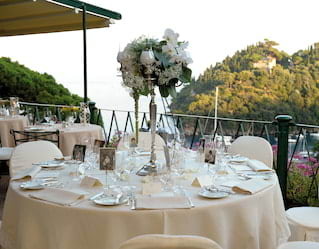 Wondering where to host your Portofino wedding? Nestled in the idyllic Italian countryside with the shimmering Mediterranean beyond, this little corner of paradise couldn’t be more romantic. 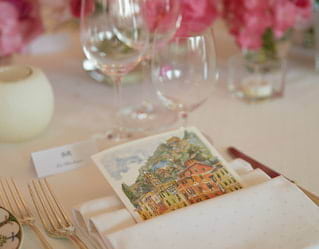 Authentic cuisine and warm-hearted service combine for an Italian Riviera wedding no one will forget. Choose from a traditional ceremony with all the trimmings, a party aboard your own private boat or a quiet garden ceremony—or go all out and hire the whole hotel. Looking to steal away for an intimate wedding? We have just the place. Choose one of our tailored packages, suitable for just the two of you or a small group. Relax as every little detail is taken care of. We'll arrange for a celebrant for symbolic ceremonies and vow renewals, along with photography, music and more. Your dream day ends with a romantic dinner served by your personal butler and a view of Portofino Bay. 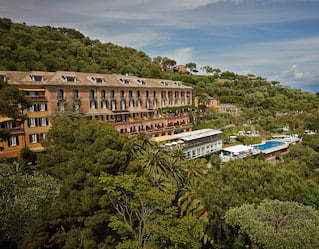 Every twist and turn between Portofino’s pastel-coloured buildings brings memories to cherish. Stroll the side streets before dropping down to the harbour for a coffee overlooking clusters of pretty boats. Share an indulgent treatment in the Wellness Centre before an unforgettable dinner in one of our celebrated Italian restaurants. End the day with a nightcap beneath the stars before retreating to your private suite. With its timeless glamour, exquisite Italian cuisine and expert team of event planners, Belmond Hotel Splendido is a dreamlike party venue for your special occasion. Our enchanting Pool Restaurant accommodates up to 60 guests in style, spoiling them with a tailor-made menu of regional treats. For more intimate parties reserve a special table at La Terrazza, decorated with a romantic arrangement of local flowers. Pull out all the stops with a hotel takeover and host the event of a lifetime. Raise a toast in traditional gardens trailed with vines and vibrant wildflowers. Indulge in tailor-made menus of fresh seafood and other locally sourced treats. However you choose to celebrate, relax with your guests while we take care of every last detail. Are you looking for an idyllic setting for your team trip? 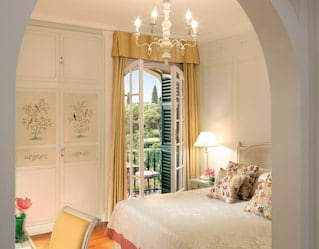 With a breathtaking location, lush Italian garden and a wide selection of activities available, Belmond Hotel Splendido could be just the place. Our choice of incentive options ranges from culinary and cultural experiences to sporting adventures, such as kayaking along the Italian Riviera.